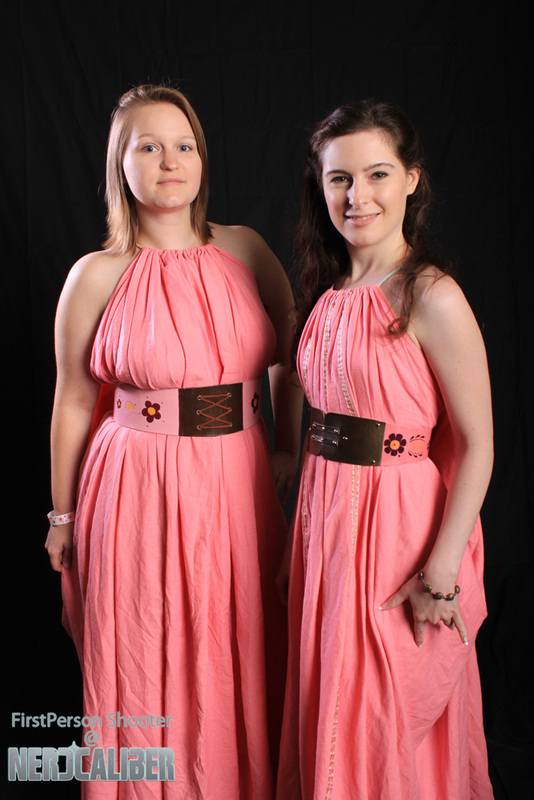 Very late in posting, but here is a look at our finished hand-maiden dresses from Game of Thrones, debuted at Granite State Comic Con, 2014. These dresses were super comfortable to wear, and the look required very little for hair and make-up. It was kind of like wearing a big blanket all day! To see the dress in progress, check out this post. And this one to learn how to make the belt! Granite State Comic Con was a blast! We met several members of the Game of Thrones cast, and took a picture with Pod!